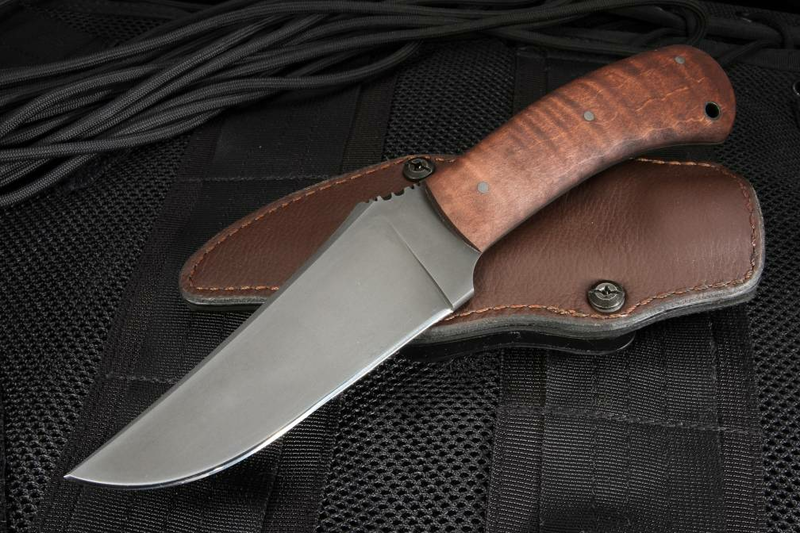 The handle of these fixed blade belt knives is made of premium curly maple with a full-tapered tang construction. Curly maple knives have a comfortable grip and distinct outdoor look that is easily recognizable. 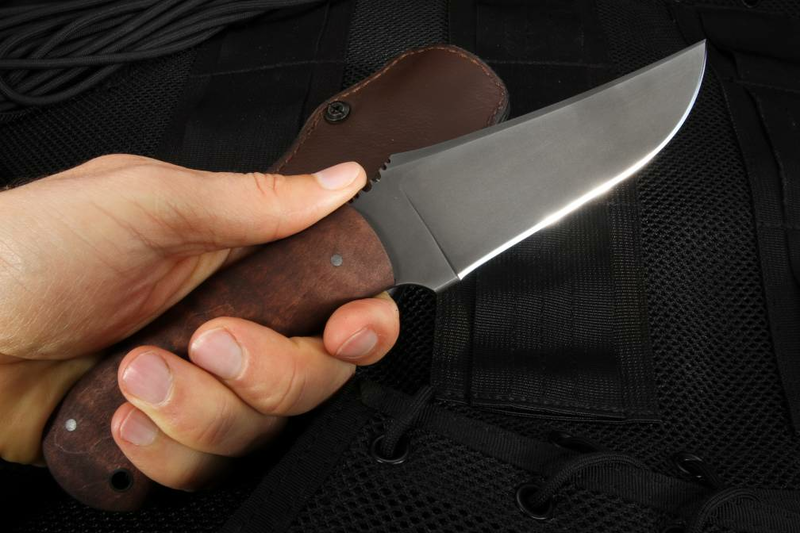 In fact, you may remember seeing this knife in the critically acclaimed, American action-thriller war film Zero Dark Thirty. In addition, the Winkler Maple Belt Knife includes an attractive custom-made Kydex-lined brown leather sheath that can be adjusted to wear horizontally or vertically. 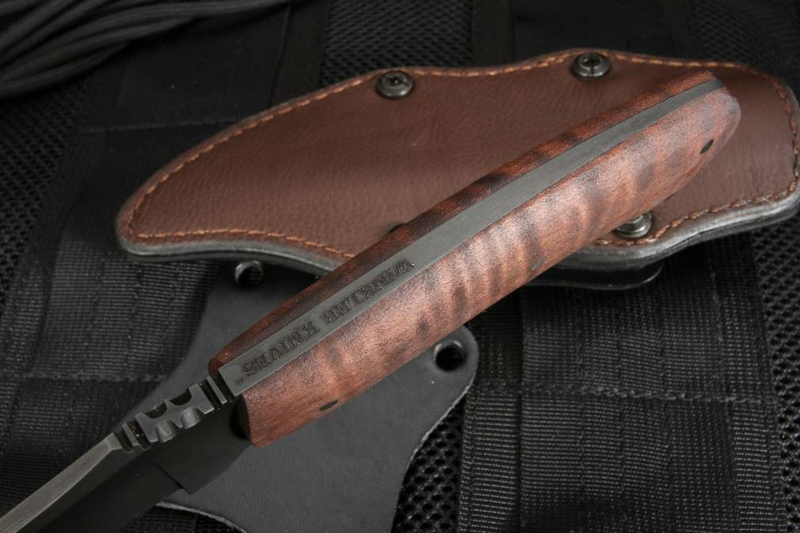 It also has a filed thumb rest on the blade spine for a secure grip, a lanyard hole in the handle for carrying and an integral guard. These features improve the overall safety, comfort and functionality for the user. The service through Knifeart was excellent. Delivery was prompt and the knife is outstanding. 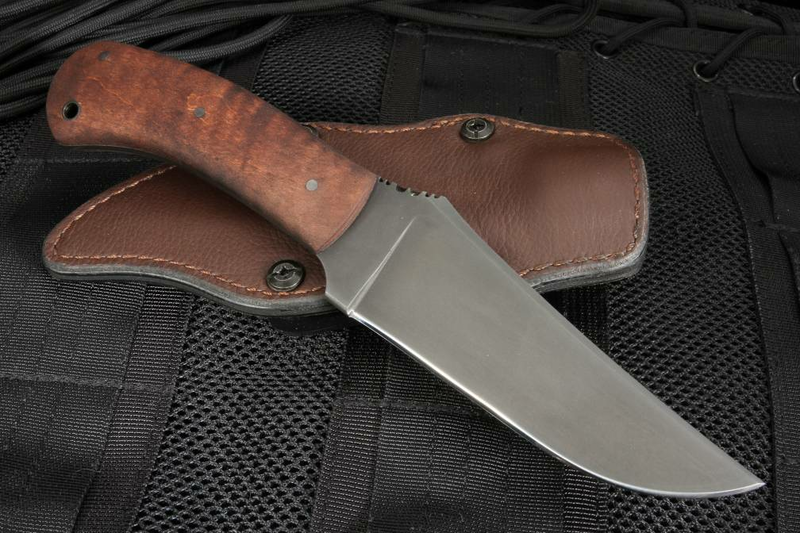 I own several custom knives (Randall, Spartan, Crusader Forge) and the Winkler is their equal in quality. 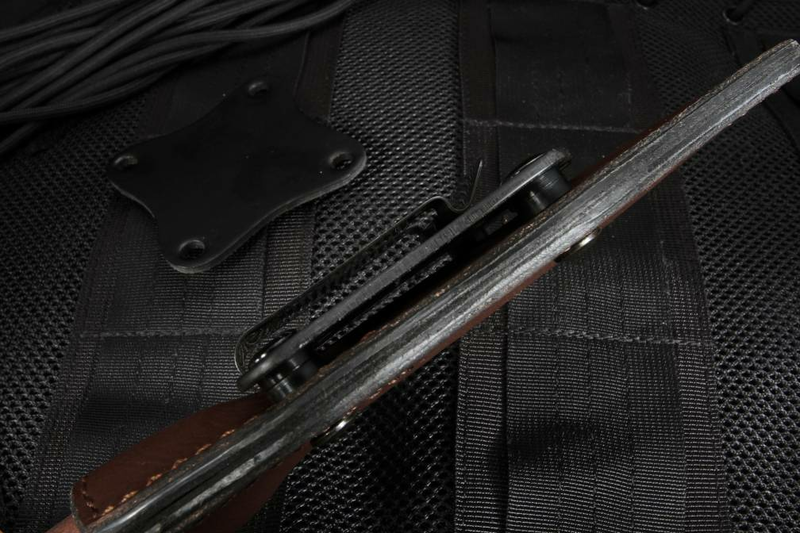 I like that it has a carbon steel blade and I will use it for field dressing game and skinning -- it is very handy with an excellent grip. The sheath is very high quality also. Just wonder why no one has thought of how to make one of these a long time ago. The knife is very secure, safe, unobtrusive and out of the way. Love this knife! It's all i hoped and more. 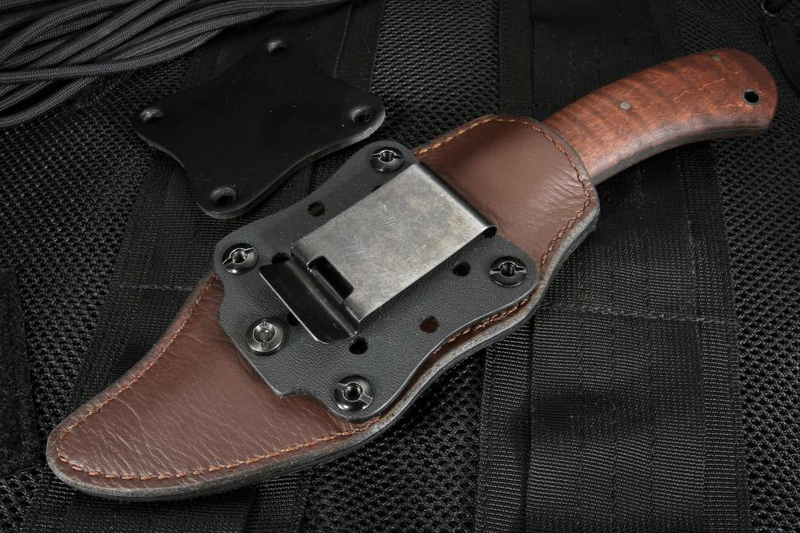 Did not se any problems with belt attachement. Knife is excellent, sheatn is well built but the belt attachement seems poor and chep when compared with the quaity of the sheath and knife. It is thin and appesars like it will rip off.